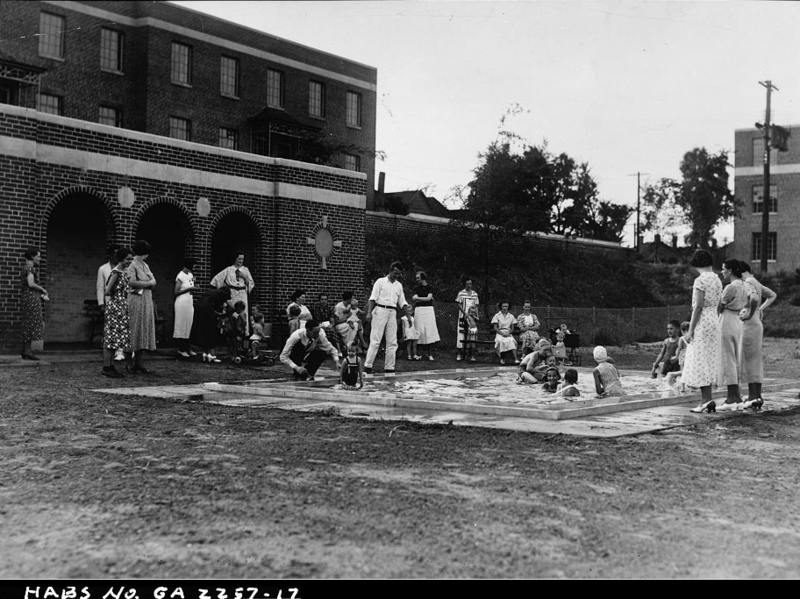 Atlanta was the site of both the first so-called “slum clearance” project in the United States, in 1934, and of America's first completed—though segregated—federally-funded public housing: Techwood Homes (for white families), and University Homes (for black families). 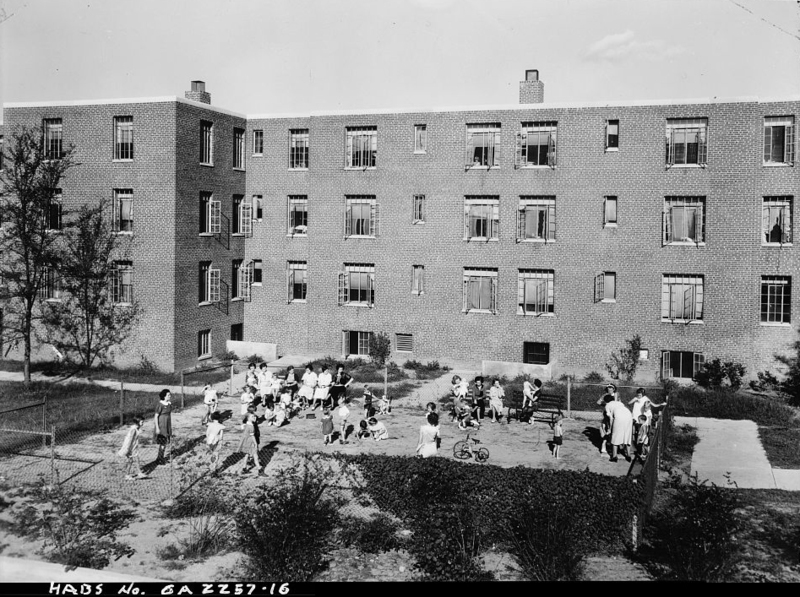 These projects, composed of low-slung brick apartment buildings set in footpath-crossed open spaces, became models for New Deal housing projects built throughout the U.S. in the years following enactment of the National Housing Acts of 1934 and 1937. Techwood and University were foundational sites that played a significant role in setting the aesthetic language and planning logic for American public housing of the mid-20th century, yet they have been overshadowed by later projects in cities like New York and Chicago, where architectural scholarship is already abundant. 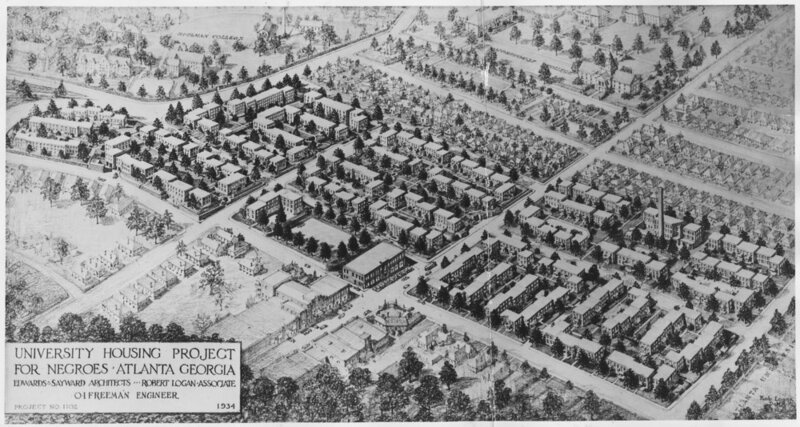 Through a detailed investigation of Techwood and University Homes, this research project seeks to plot Atlanta on the interwar architectural map, establishing the city’s role as a clearinghouse for European social housing ideas in the U.S., and as the earliest home-grown precedent for New Deal public housing. Phase I, completed with support from the Emory Center for Digital Scholarship (ECDS), charts a geography of architectural influence for Techwood and University through archival research, digitization, and mapping of foreign precedents brought back to Atlanta by real-estate mogul turned housing crusader, Charles Palmer, the driving force behind Techwood’s development. The project team culled evidence from Palmer’s personal papers that reside at Emory’s Stuart A. Rose Manuscript, Archives and Rare Book Library. 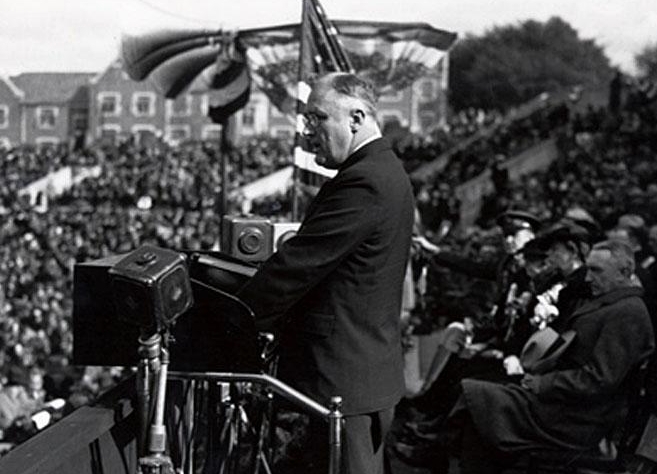 Specifically, the research has targeted materials related to Palmer’s two European fact-finding missions in 1934 and 1936—social housing Grand Tours, in effect—in which he visited housing sites he deemed worthy of study and possible replication in the United States. A series of questions drove the initial research. Which countries, cities, and housing projects did Palmer elect to visit? Who did he meet at those sites? What graphic and textual materials did he bring back to Atlanta? Ultimately, and most importantly, how did information collected in those travels influence the designs of Techwood and University Homes? In this phase, the team cataloged correspondence, maps, architectural plans, photographs, booklets, and ephemera for digitization and georeferencing by the Emory University Library digitization team and ECDS collaborators. Palmer’s motion picture films of his European trips—used to convince local and federal constituencies of the need for a comprehensive U.S. public housing program—will also be included in the ultimate project. Phase II, currently underway, has entailed outreach and collaboration with Atlanta-area archives for a graduate research seminar I taught at Emory University on Techwood/University in Spring 2018. Each student in this seminar was assigned a research repository to mine for materials on the two housing projects. These repositories included the archives and libraries of the Atlanta Housing Authority, Atlanta University (Woodruff Library), Georgia State University, Georgia Institute of Technology, and the Atlanta History Center. In addition to gathering more material on the projects, Phase II will engage in deep architectural analysis of the materials, to determine how and in what ways European precedents made their way into Atlanta’s public housing architecture, and what elements emerged from Techwood and University to influence other sites in North America. The students' research and findings were presented in the 2018 Atlanta Studies Symposium.